In states like Texas and Colorado, it’s not uncommon to get hail the size of golf balls or larger, which can lead to plenty of hail-related insurance claims. 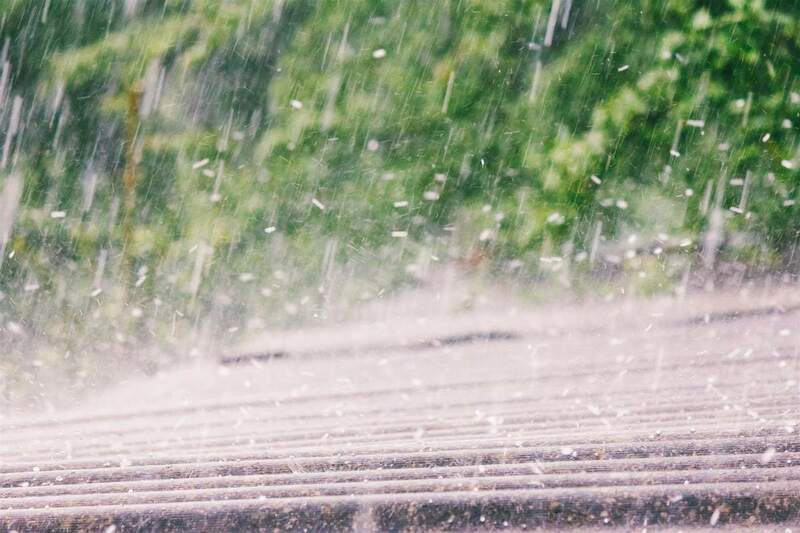 These large hailstorms can create thousands of hail damage insurance claims in a single area, overwhelming your insurance company and its adjusters, making the claims process long and complicated. Today, we’re talking about one of the most common hail damage insurance claims: roof hail damage. Was your home’s roof damaged in a hail storm? Does your business need a new roof after being damaged by hail? Here are the most important things you need to know about filing a hail damage insurance claim. If you need help handling, negotiating or determining if you are covered for an insurance claim related to hail damages, a public adjuster can help. Note the date and exact time of the storm, including when you believe damage to your property occurred. Take photos of your yard, home, and property after the storm, making sure to focus on areas of damage. The more photos you take, the better. Look for obvious signs of damage on your roof, like missing or torn shingles. Binoculars can be a useful tool for an initial look. Grab your tape measure (or some other measurable object, like a golf ball) and place it next to hailstones on the ground, then take pictures. Take pictures of your outside air conditioning unit, as hail can wreak havoc on air conditioners (they can dent and block cooling fins, blocking the air flow). Remember: hail will melt. Your home might have been hit by golf ball-sized hail. However, if you don’t have photos to prove it, then it could weaken your claim. Some homeowners mistakenly think that their roof is fine after a hail storm because they don’t have any roof leaks. That’s not true: you can still file an insurance claim on a damaged roof without a leak. Don’t wait for a leak to appear before you file a claim. Most roof hail damage insurance claims do not involve leaking roofs. If you do have a roof leak, do what you can to mitigate the loss. Place a tarp over the leaking area to prevent further water damage for example. We’ve seen too many homeowners make the same mistake: a hailstorm rolls through the area. The homeowner takes a quick glance at the roof and siding, then determines there’s no damage. The homeowner never contacts a roofing contractor or gets up on the roof to inspect the damage. Then, a few months later, the homeowner notices a leak. The shingles were damaged during the last hailstorm, and now it may be to late gather evidence and successfully file a claim. If you discover roof damage from hail, then you may want to start by contacting a qualified roofing company or a public adjuster for help. When you contact your insurance company to file a hail damage claim, it’s recommended that you also get in touch with a roofing contractor or a private insurance adjuster who can assess the damage to your home. This assessment should be free: roofing contractors and public adjusters consider these hail damage assessments a cost of doing business, and they base their work on whether or not your insurance claim will be approved. When looking for a roofing contractor, be sure to contact one who is factory-certified (GAF Master Elite and CertainTeed Premier are the two most common certification systems for roofers in America). Then, check the Better Business Bureau or other review sites online to ensure the roofing contractor is honest and provides high-quality service. Make an appointment with the contractor, be at home during the inspection, and make sure the contractor knows that no repairs will be made during this time. Also, make sure to point out to the roofing contractor the specific areas of damage. During roof inspections for hail, the roofing contractor can estimate approximately how much repairs will cost. This keeps your insurance company honest when processing your claim. Your insurance company might offer to pay just $10,000 to repair your hail-damaged roof, despite the fact that your roofing contractor has estimated repairs of $30,000. One thing to keep in mind is that in most states that require public insurance adjusters to be licensed, it is illegal for a roofing company or contractor to negotiate insurance policy related issues. Take a look at your insurance policy and then contact your company. Organize your records, facts, and photographs. Give your insurer the necessary information. You will receive a claim number. At this point, your insurance company will inspect damages to your property, then decide how much your payout will be worth – if anything. Sometimes, the insurance company will find fine print within your insurance contract that allows them to deny a payout. Or, the insurance company might offer a substantially lower payout that what you require. If all goes according to plan, then your insurance company will approve the hail damaged roof replacement, allowing you to get a brand new roof paid for by your insurance company. If your insurance company refuses to honor the claim or is being difficult, then consider contacting a public adjuster to help defend your case. By following all of the steps above, you can better ensure your chances of receiving fair compensation for your hail damage insurance claim. ClaimsMate specializes in hail damaged roof insurance claims across Texas. f the roof of your home or business was damaged in a recent hailstorm, then ClaimsMate can help. Our public adjusters work diligently to maximize your claim and fight back against your insurance provider. If your provider is refusing to cover your hail damage repairs for any reason, get help by contacting ClaimsMate today.